Gastric Mind Band Spain. 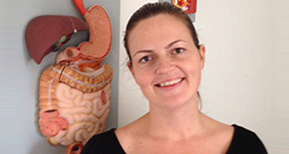 Amaya Barr travelled to Malaga to train at the Elite Clinic with Martin and Marion Shirran, and became a certified Gastric Mind Band and PBT therapist in January 2014 to offer the Gastric Mind Band in Spain. Amaya is also a qualified Physiotherapist and now a Gastric Mind Band therapist. She is at present the only certified Gastric Mind Band therapist in Spain able to provide the treatments in both Spanish and English. Amaya Barr viajó a Málaga, para formarse en Elite Clinic con Martin y Marion Shirran, y se cualificó como terapeuta de Gastric Mind Band – Banda Gástrica Mental y de la Terapia de Botón de Pausa, en Enero del 2014. Amaya también es Fisioterapeuta y ahora Terapeuta de GmB – Banda Gástrica Mental. Y ahora por el presente es la única Terapeuta GmB en España, que realizará el tratamiento en Español. Martin and Marion Shirran are available to treat private clients at their Elite Clinic and training centre located in Fuengirola, Spain. Paloma Guzman completed her Gastric Mind Band and Pause Button Therapy training with Martin & Marion Shirran at the Elite Clinic in Fuengirola during August 2014. In addition to her GMB training Paloma has a superior degree in Dietetic and Nutrition, in addition she has a degree in Psychology by Deusto University with a master in Drug Dependences. Her clinic is located in Las Arenas in Gexto, Bilbao. Paloma Guzman completo su formacion en la terapia Gastric Mind Band y en la terapia del Boton de Pausa en la Clinica Elite de Fuengirola con Martin y Marion Shirran en Agosto del 2014. Ademas Paloma tiene un grado superior en Dietetica y Nutricion y es licenciada en Psicologia por la Universidad de Deusto junto con un Master en Drogodependencias.